For one day each year the Cornell community honors its office professionals by recognizing both the important role they play on campus and the changing nature of their profession. The Jennie T. Farley Office Professionals Celebration, named for its co-founder and a late faculty member of ILR, draws more than 750 office professionals from across campus; it is now one of the largest workplace observances at Cornell. The annual event was inaugurated in 1988, when Prof. Farley teamed up with ILR colleague Alice B. Cook to organize the first Secretaries Day Symposium. Today, the celebration is sponsored by the ILR School, the Office of the President, and the Office of Human Resources. Bob Harrison, Class of 1976, a member of Cornell’s Board of Trustees since 2002 and chairman since 2012. Jennie Tiffany Farley was a determined champion of women’s rights. 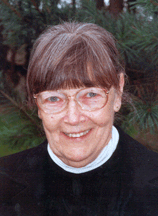 A professor at ILR, co-founder of Cornell’s Women Studies Program, and a former member of the university’s Board of Trustees, Prof. Farley was widely known for her work on advancing the status of women workers (especially managers, academics, and clericals) and for her efforts on behalf of affirmative action and in opposition to sexual discrimination and harassment. Prof. Farley was a complete Cornellian. She earned three degrees at the university: a B.A. in English (1954), an M.S. in sociology (1969), and a Ph.D. in sociology and communication (1970). She served as research associate, lecturer, and then academic coordinator and faculty board member of Cornell’s Female Studies Program (now the Women’s Studies Program). She directed this program from 1972 to 1976 and remained a member of its executive board. In 1972 she co-founded the Provost’s Ad Hoc Committee on the Status of Women at Cornell, which later became the Advisory Committee on the Status of Women (ACSW). Prof. Farley was appointed as an assistant professor of Industrial and Labor Relations in 1976, was promoted to associate professor status in 1982 and to the rank of professor in 1990.